@Something Fishy How did you take the first picture? By moving the camera along with the vehicle while snapping? Oh boy, it's finally here! I can't wait for the whole thing! SF, do you think you'll break your Maui TR most-photos-in-a-TR record with this one? Tuns out Maui still rules. 359 vs. 265. Looks like this TR broke that record big time - we have 622 pictures in here . 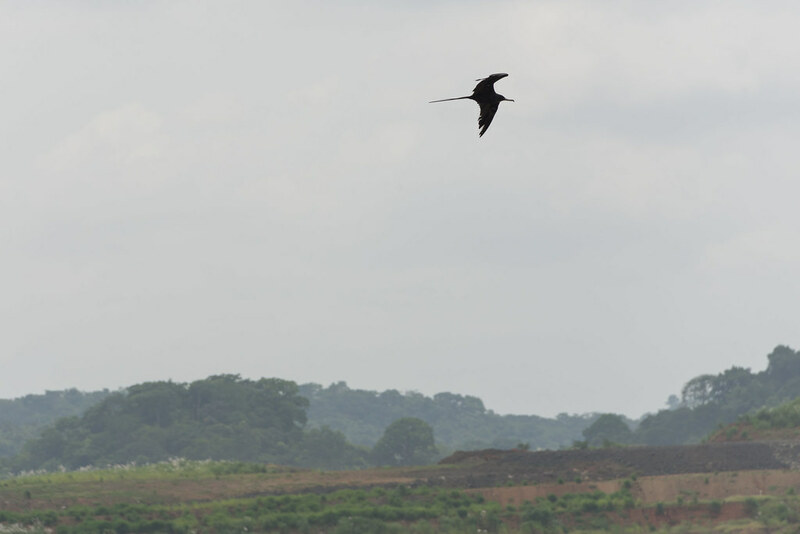 Working on my wildlife list and finally identified this one: it's a Magnificent Frigatebird. If anyone cared, there you have it . I loved the pics! They are all very informative and help me, to make plans for my trip!